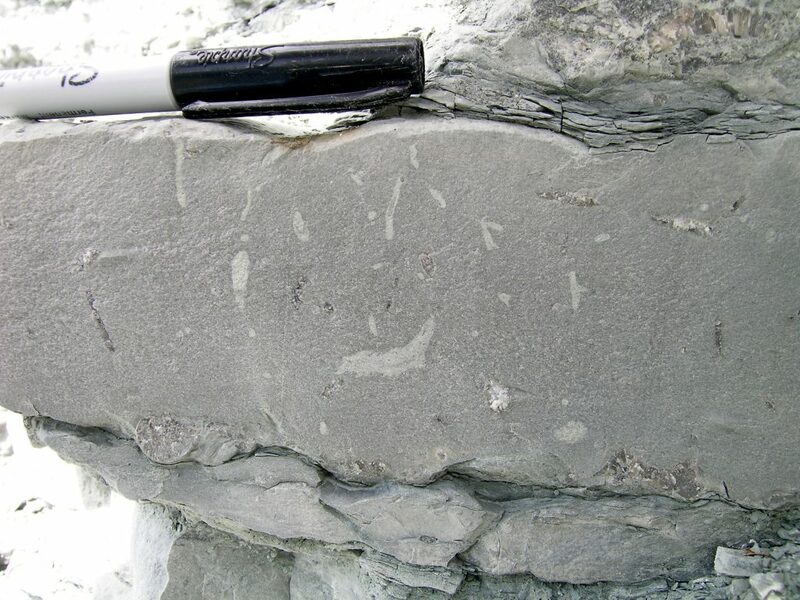 Paleontologists deal with two basic kinds of fossils: body fossils and trace fossils. 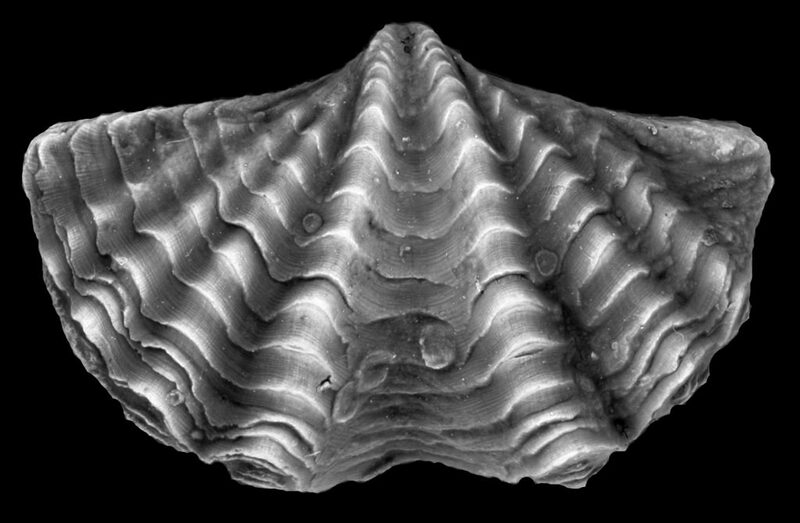 As their name suggests, body fossils are the remains of the actual organisms. 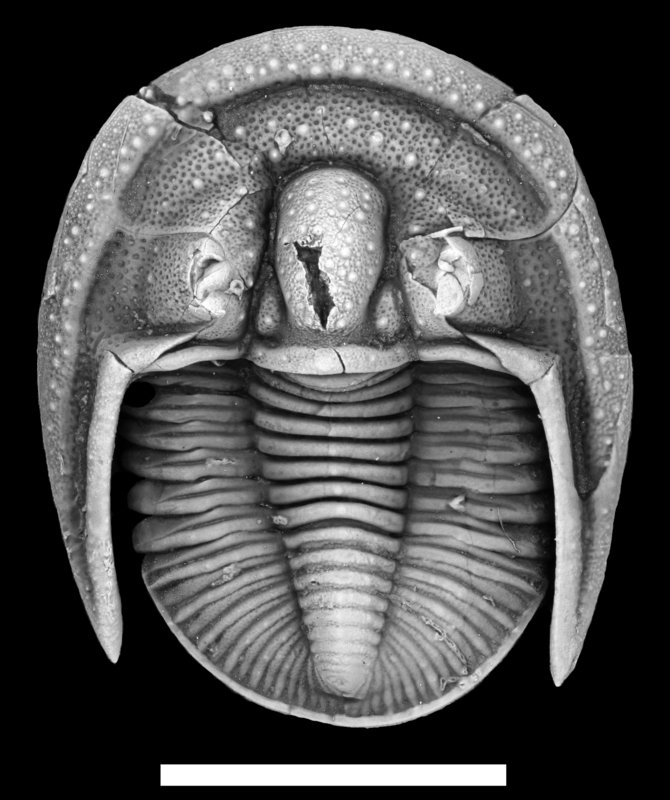 Normally, only the hard skeleton is preserved (shell or bone), and the soft tissue (skin, muscle, organs, etc.) rots away after death. 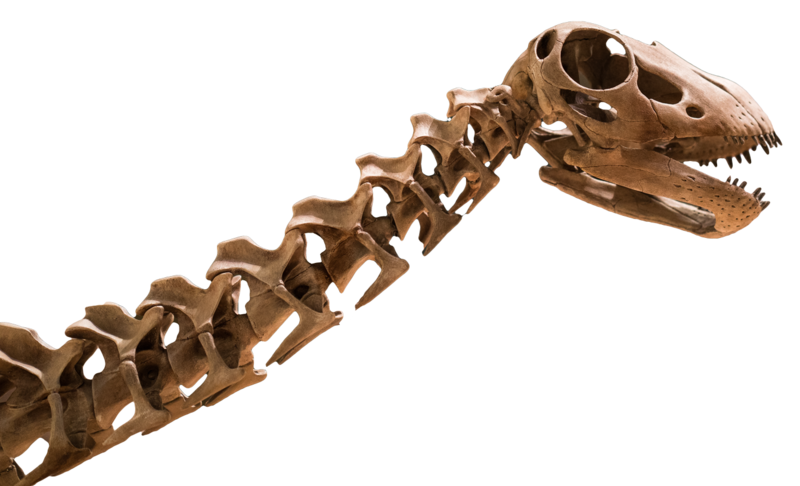 Animals with weak skeletons (e.g., a shrimp or an insect) are less likely to be preserved and animals that lack a skeleton entirely are very rarely fossilized. Body fossils include molds and casts. A mold is the imprint left by the shell on the rock that surrounded it. An external mold is a mold of the outside of the shell. Each time we break a shell or bone out of the rock, an external mold is left behind. Molds of the underside of shell may be left on the surface of rock that formed when sand or mud filled the inside of the shell. These are called internal molds. Casts are replicas of the shell or bone that are formed from external or internal molds. Casts can be produced naturally, but paleontologists can also produce casts from molds with latex rubber or even modeling clay. 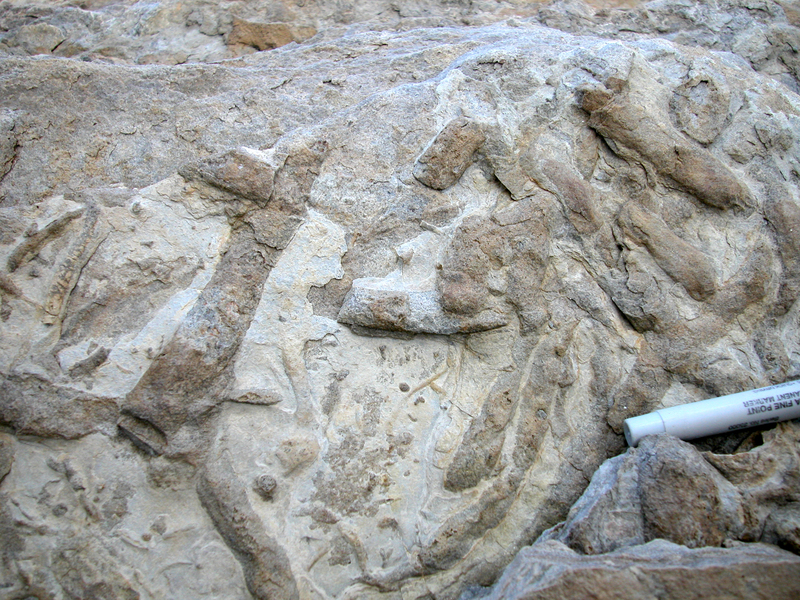 These artificial casts can provide extra information about the fossils under study. 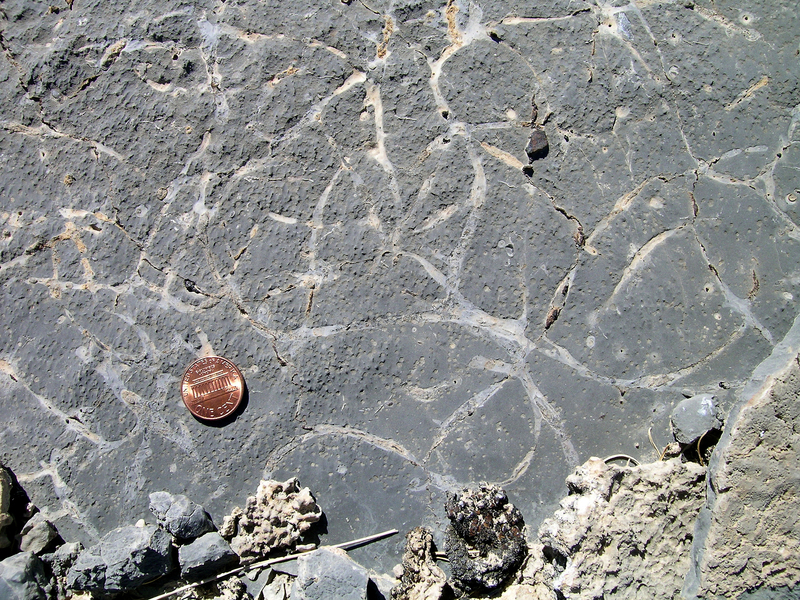 Trace fossils are various tracks, trails and burrows. They range from worm burrows to dinosaur footprints. They give us information about what the animal did while it was alive. For example, we can learn how animals moved or fed.